I dream about this pop tart. 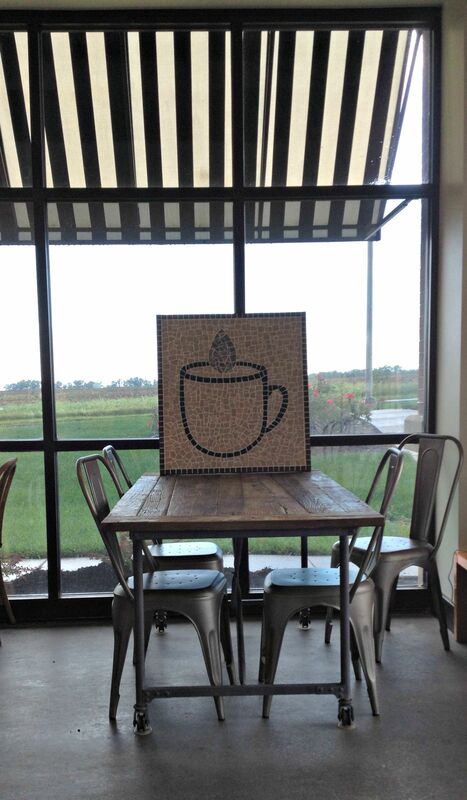 My latest coffee shop discovery is a small place called Pour, on the northwest side of Olathe. I met my friend Shannon there on a rainy Friday afternoon. 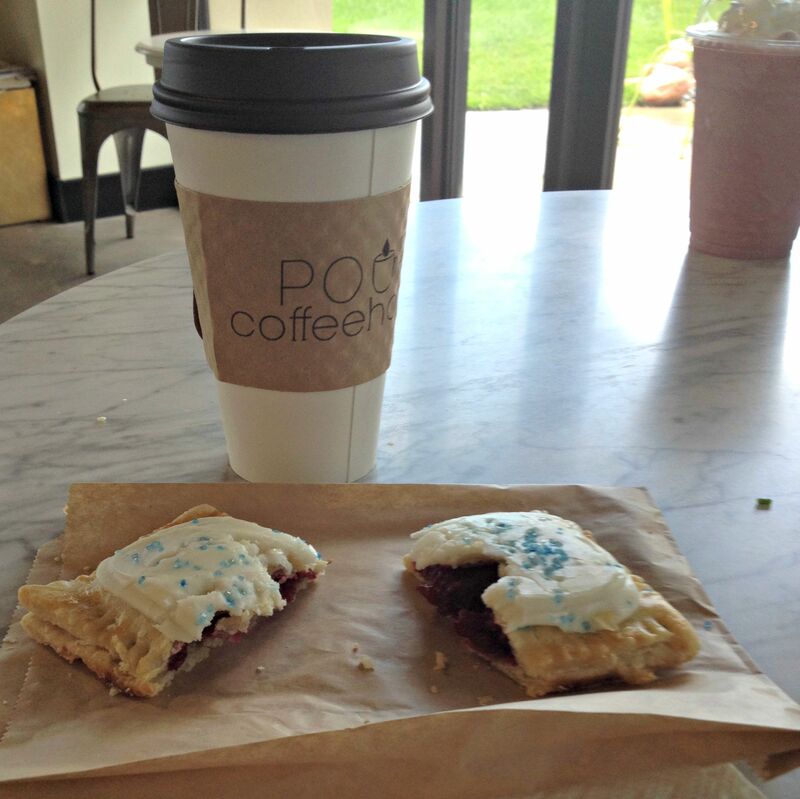 Pour’s website touts its homemade pop tarts and gluten-free donuts, so that’s what we ordered, though we had other choices of baked goods**. Shannon enjoyed her donut, but I’m the one who lucked out: My pop tart was life-changing, with its flaky pastry and not-too-sweet raspberry filling. Unlike its Kellogg’s counterpart, there was enough filling in this tart to remind me of a small pie. Pour offers a variety of drinks. Shannon had a smoothie made with almond milk, which she enjoyed very much. I took a break from coffee to order a London Fog: Earl Grey tea with steamed milk and a dash of vanilla. Very good. The dining area is small but nice, with marble-topped tables and industrial metal chairs. When the weather cooperates, seating extends outside. The menu is on the pricey side, which will make this place an occasional treat instead of a steady habit. But I will be back for another pop tart. They’re that good. **The other baked goods at Pour are provided by a bakery called 3 Women and an Oven. I visited the bakery in the name of thorough research, and can vouch for the cookie selection. The cupcakes and special order cakes looked beautiful. They don’t make the pop tarts, though. I’ll have to go back to Pour for that particular taste of heaven. You had me at gluten free donuts! The doughnut was yummy but the company was fantastic. Thanks for the treat that afternoon and also this morning, Jane! Yes it was, Shannon. I’m glad you were up for something new that day.